Pastor Jen joined the community at University Lutheran Church of Hope in August 2015 as our Lead Pastor. Jen is excited about how the Holy Spirit is calling this congregation into renewed ministry deeply rooted in this neighborhood and location in Dinkytown on the edge of the University of Minnesota campus. Prior to Hope, Pastor Jen served for 12 years at Salem English Lutheran Church on the edge of Uptown in south Minneapolis. Together the leaders of Salem and two other congregations (Lyndale United Church of Christ and First Christian Church Disciples of Christ), created SpringHouse Ministry Center, an ecumenical partnership. Through those years at Salem, Pastor Jen gained a passion and experience for transformational and redevelopment ministry, especially in urban settings. Jen grew up in New Ulm, Minnesota. She holds an M.Div. from University of Chicago-Divinity School, completed work at Lutheran School of Theology in Chicago and has a B.A. from Concordia College, Moorhead, Minnesota. She’s served at Central Lutheran Church and Hennepin County Medical Center in Minneapolis, in Africa, Chicago, Michigan, outdoor ministry and campus ministry settings, and on the Central Committee of the World Council of Churches. 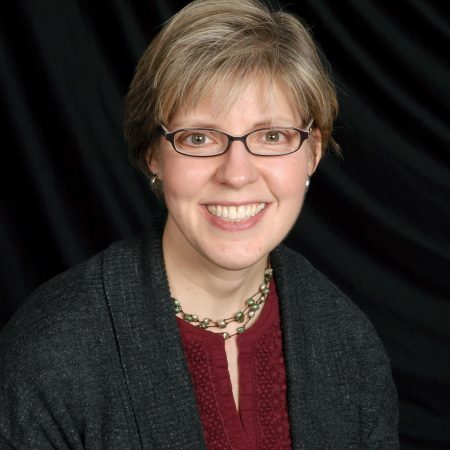 Pastor Jen was ordained in 2008, prior to the ELCA policy changes, through Extraordinary Lutheran Ministries (ELM.org) and in 2010 was welcomed onto the ELCA clergy roster. Jen’s spouse, Rev. Jane McBride, is pastor at First Congregational Church of Minnesota, United Church of Christ, just across 35W from Hope. Jen, Jane, and their young daughters live in north Minneapolis. Jen enjoys running, long walks, camping, canoeing, reading (by herself, and also to small people), and good food shared in community.